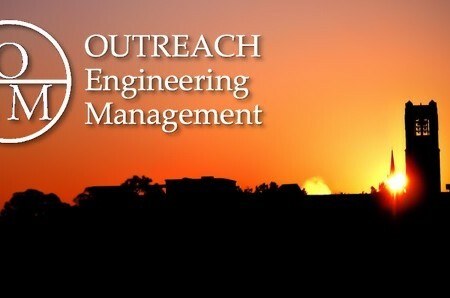 Our Outreach Engineering Management (OEM) Master’s Program will be hosting several networking receptions and info sessions in various cities throughout Florida. We invite anyone who is interested in learning more about OEM to join us at one of these meetings, which will be held in Orlando, Tampa Bay, Jacksonville, Gainesville, and South Florida. Some online information sessions are also scheduled. OEM is an Engineering Management master’s degree program designed for full-time working professionals, with classes meeting only one weekend per month for 20 months. The next program begins in August and will meet in Orlando. Students earn an MS degree in Industrial & Systems Engineering (Engineering Management track) and have the option of getting an MBA as well by adding only 12 months more. The next application deadline is March 24, 2015. For more details about these info sessions or the program in general, or to subscribe to the OEM email distribution list, please visit the OEM web site (www.ise.ufl.edu/oem), which includes complete application materials. Contact: oemprogram@ise.ufl.edu or 352.392.0928.